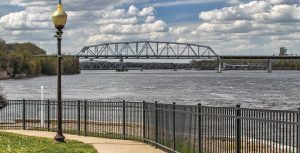 And while life has certainly changed from the days in which Twain traversed the Mississippi, you can still explore many of these towns that Twain described. If you choose to make the trip by land, rather than by steamboat, the best way is by travelling the Great River Road, a 3,000 mile road trip that will take you through 10 states from Minnesota south to the Gulf of Mexico. If you have no desire to enjoy this road, designated as a National Scenic Byway, you can tool it in a little over 36 hours. But if you want to enjoy this American treasure, plan on a 14-day plus road trip that will provide you unforgettable lessons in culture, geography, history, and nature as well as a primer of culture and culinary arts. Minnesota’s Twin Cities, also known as Minneapolis-St. Paul, are home to more than 3 million people and boast such attractions as The Mall of America, Walker Art Center, and the Minneapolis Zoo. Walker Art Center and its adjacent Minneapolis Sculpture Garden are a definite must-see. The Center has 11 galleries exhibiting modern and contemporary works while the Sculpture Garden spans 11 acres featuring over 40 permanent installations including “Spoonbridge with Cherry” designed by Claes Oldenburg and wife Coosje van Bruggen. For information visit www. walkerart.org. When it opened in 1992, The Mall of America (MOA) was the largest shopping mall in the US. The Mall sees more than 42 million visitors annually and contains over 520 retail stores plus a theme park, Nickelodeon Universe, the Sea Life Minnesota Aquarium, as well as theaters and restaurants. One big plus about shopping at MOA – Minnesota does not charge sales tax on clothing! For hours and more information, visit www.mallofamerica.com. There’s plenty to see and do in St. Louis, Missouri. 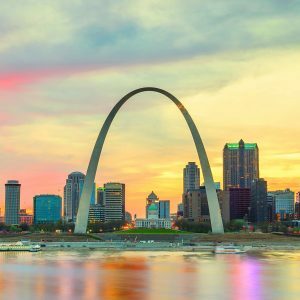 In addition to the soaring 630-foot Gateway Arch, there’s the Anheuser-Busch Brewery, the famed St. Louis Zoo, and the sprawling Forest Park. The Gateway Arch opened in 1965. Built as a monument to “westward expansion,” visitors can choose to take an elevator ride to the top for breathtaking views. After you’ve finished viewing St. Louis from the sky, come down to earth and visit Forest Park, the seventh largest urban park in the US, which houses not only the St. Louis Zoo, but many other attractions. For Park information, hours of operation and special attractions, visit www.forestparkforever.org. See the famous Budweiser Clydesdales up close when you tour the Anheuser-Busch Brewery where you can view these magnificent horses in the historic stables dating to 1885 as well as learn about the brewery’s 7-Step Brewing Process during a complimentary tour. Afterwards, enjoy a brew and some great food in the Biergarten. For tour information visit www.budweisertours.com. 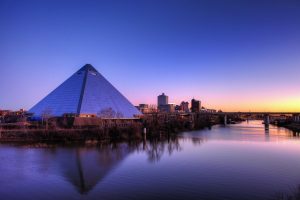 Music lovers and BBQ buffs will love Memphis, Tennessee. Of course, it is home to Elvis Presley’s Graceland but Memphis is also considered the birthplace of the blues since that’s where legendary bluesman W.C. Handy created his illustrious music, including “Beale Street Blues” and “Memphis Blues.” Speaking of Beale Street, the city’s infamous thoroughfare offers over a mile of BBQ joints and music venues. Of note is B.B. King’s Blues Club or Blue’s City Café, both of which offers live music and BBQ. “Laissez les bon temps roulez” which translates to “Let the good time roll” is the mantra when you visit New Orleans, Louisiana, where the Mighty Mississippi winds down into the Gulf of Mexico. New Orleans is rich in history and heritage which you can learn about though its multitude of tours. Don’t miss Lafitte’s Blacksmith Shop or Marie Laveau’s House of Voodoo, both located on the city’s infamous Bourbon Street, for a true New Orleans experience. 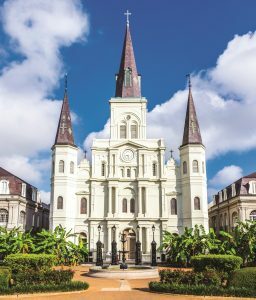 There’s also Café Du Monde known for its café au lait and beignets and the landmark Cathedral-Basilica of St. Louis King of France, the oldest Catholic cathedral in continual use in the United States. For more things to see and do in the Crescent City, visit www.neworleanscvb.com. 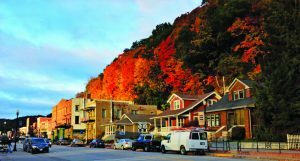 An abundance of outdoor recreational activities as well as a history lesson or two can be found in Prairie du Chen, Wisconsin, the oldest European settlement on the Upper Mississippi River. Also considered Wisconsin’s second oldest city (Green Bay is the oldest), the area was settled by the French in the late 17th century. Nearby Wyalusing State Park offers hiking trails, fishing and camping opportunities. Across the river and just south of Prairie du Chen is McGregor, Iowa which is home to Pikes Peak State Park with its 500-foot bluff that overlooks the Mississippi. From this height, visitors can see where the Wisconsin River meets the Mississippi as well as amazing views of both Iowa and Wisconsin. Also in McGregor is Spook Cave where visitors can experience a cave tour and an underground boat tour (www.spookcave.com). In Savanna, Illinois you’ll find Mississippi Palisades State Park which offers hiking trails and beautiful views of the river. The park’s Lookout Point is the highlight that provides sweeping views of the landscape. If trains are your thing, consider a visit to the Savanna Train Car Museum which provides rail history as well as views of old engines, passenger cars and more train memorabilia. Hannibal, Missouri, boyhood home of the afore-mentioned Mark Twain who chronicled life on the Mississippi, was founded in 1819 and quickly became a flourishing river town. Today it maintains all the charms of a river town and is also home to a thriving artisan colony. Visit Mark Twain’s Boyhood Home and Museum (www.marktwainmuseum.org) to learn about the life and works of Twain as well as view 15 original Normal Rockwell paintings created for special editions of The Adventures of Tom Sawyer and The Adventures of Huckleberry Finn. For art enthusiasts, there is 50 Miles of Art which is an arts corridor running through the towns of Hannibal, Louisiana and Clarksville (all connected by scenic Route 79) which features artist’s galleries and studios, as well as crafts shows and other events. For more information visit www.50milesofart.com. The eastern portion of Arkansas is known as the Arkansas Delta – a primary agricultural region of the state thanks to its rich soil, which is the result of the deposits over millions of years from both the Mississippi River and nearby rivers. A major crop grown here is rice and Riceland Rice, headquartered in Stuttgart, Arkansas, is the world’s largest miller and marketer of rice. Another major crop is cotton. 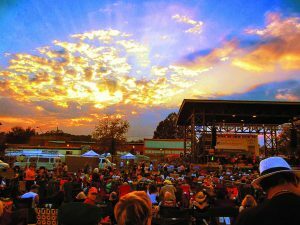 If you’re a music lover, plan your trip to Helena to coincide with the King Biscuit Music Festival, scheduled for October 4-7. This festival has been going strong for 30 plus years and has become a destination for blues enthusiasts from all over the world. The festival came about as Helena is the home of the longest running radio show ever, King Biscuit Time, which has been playing blues music since 1941 and made Helena a blues center. King Biscuit Time celebrated its 17,000th broadcast on May 13, 2014. The late, great King of the Blues, B.B. King credited the King Biscuit Hour as an influence on his legendary career. The festival is considered one of the foremost showcases of blues music in the US. The King Biscuit Music Festival also features a 5K run, a BBQ cook-off and a blues symposium. For more information visit www.kingbiscuitfestival.com. For more music history, head to Clarksdale, Mississippi where the Delta Blues were born and Robert Johnson sold his soul to the devil at the crossroads (so named because it is the intersection of Highway 61 and Highway 49 and aptly marked with three big guitars.) Clarksdale’s Delta Blues Museum is dedicated to preserving the history of the blues and has exhibits that include authentic artifacts of famous blues musicians. Right next door to the museum is Ground Zero Blues Club (of which actor Morgan Freeman is a co-owner) which showcases Delta Blues musicians as well as serves up Mississippi favorites including catfish and BBQ. Don’t miss the Muddy Waters Cabin Site which marks the famous bluesman’s family home. Historic Vicksburg, Mississippi was a major port for cotton trading in the 19th century and is also know for the Civil War’s Battle of Vicksburg which ultimately gave the Union Army control of the Mississippi River and was a turning point in the war. Today visitors to Vicksburg can expect to find a river town bustling with a variety of options including casinos, spas, shopping, antebellum mansion tours as well as a viewing of the Vicksburg National Military Park. Civil War buffs will enjoy the self-guided tour of the Vicksburg Campaign Trail that shows both Union and Confederate encampments as well as monuments and memorials on this 16-mile drive. Enjoy a home tour of 17 homes dating from 1700 through the Victorian Era area. Another interesting place to visit while in Vicksburg is the Biedenharn Coca-Cola Museum, which is the site where the soft drink was first bottled in 1894. There is also a restored candy store where visitors can enjoy Coca-Cola floats and ice cream. These are just a few of the highlights along the Great River Road. For more information visit www.experiencemississippiriver.com which also has a downloadable app to help navigate your trip. However you choose to tackle this adventure, be sure to take your time and enjoy the ride.